All flights in and out of Belgium have been cancelled for a day due to strike action, the country’s air traffic control has announced. The period of cancellation will run for 24 hours, from 22:00 (21:00 GMT) on Tuesday. A national strike has been called by three major trade union federations. Air traffic agency Skeyes said that there was “no certainty about the number of staff in a limited number of key posts”. “Six hours before the start of the national strike, the company does not have sufficient insight into the staffing levels during the industrial action that will start tonight,” it said in a statement on Tuesday. “Skeyes’ employees do not have to declare their intentions to work or not during trade union actions in advance,” it added, explaining the uncertainty. The agency said its responsibility was to guarantee safety, and it could not do so “in view of the great uncertainty about the occupation of some crucial posts”. The only option left was to not allow air traffic, it said. Many airlines had already cancelled or rescheduled flights head of some expected disruption during the strike. 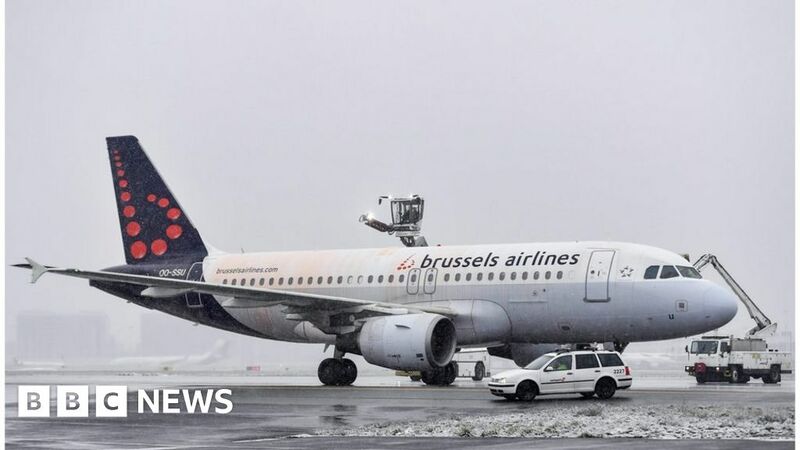 The strike action will also have a limited effect on flights through Belgian airspace, as Skeyes is responsible for all traffic up to an altitude of about 7,500m (24,600 ft). Government and military flights will not be affected. The day of national strikes, called by Belgium’s three major trade union federations, follows a disagreement over wage growth, which is limited to 0.8% for the next two years. Unions are calling for an increase in wages, benefits and pensions to what they believe is a reasonable living level, as well as improvements to work-life balance.